The weather in Boston this year has been record breakingly terrible, and despite the fact that multiple snow days and dark, cold evenings should theoretically mean lots of incentive to curl up with a project indoors, I haven’t really been…feeling it. I’ve cast on a couple of projects and have a couple of others languishing in my studio, but my sewing machine has been almost silent for months. 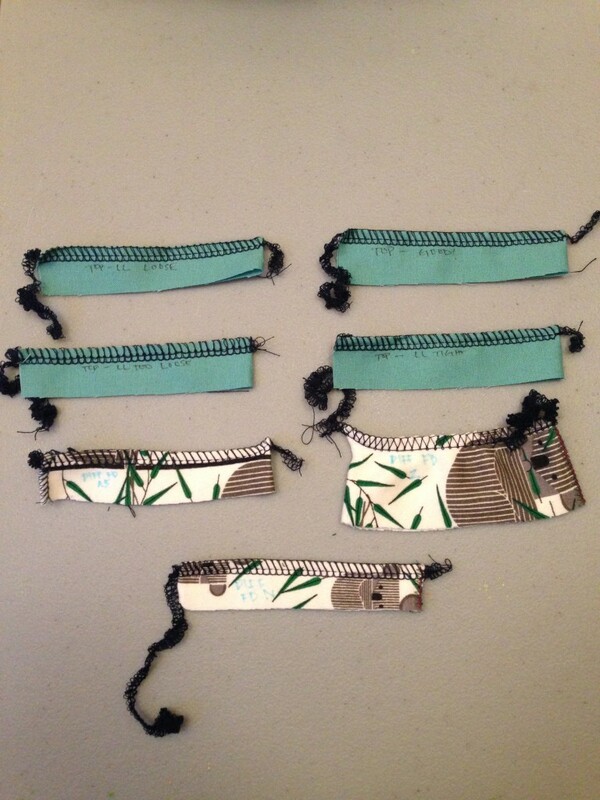 A few weeks ago, though, I finally worked up the courage to delve into new crafty territory: the world of sergers. Over Christmas, my wonderful in-laws gifted me a serger that once belonged to Mr. Jones’ grandmother. I was thrilled but also a bit apprehensive: sergers are notoriously scary beasts, with four (as in, three more than normal) threads to thread and sharp knives that will chop off the tip of your finger (or, less drastically but perhaps equally sad, the wrong bits of your fabric) if you’re not careful. I’m only barely starting to get a handle on tensioning using my regular sewing machine; the thought of trying to navigate four different tension dials plus something called “differential feed” while simultaneously worrying about injury and potential project ruin was daunting enough that I carefully set the serger box on my sewing table and then avoided looking at it for several months. Then I saw that Gather Here was offering an hour-long “Serger Basics” class, and I womaned up. Turns out: sergers aren’t that scary, as long as you’re willing to spend some time fiddling with your settings and make sure to test everything (maybe twice, to be on the safe side) before jumping in. I came home and began the grand unboxing. 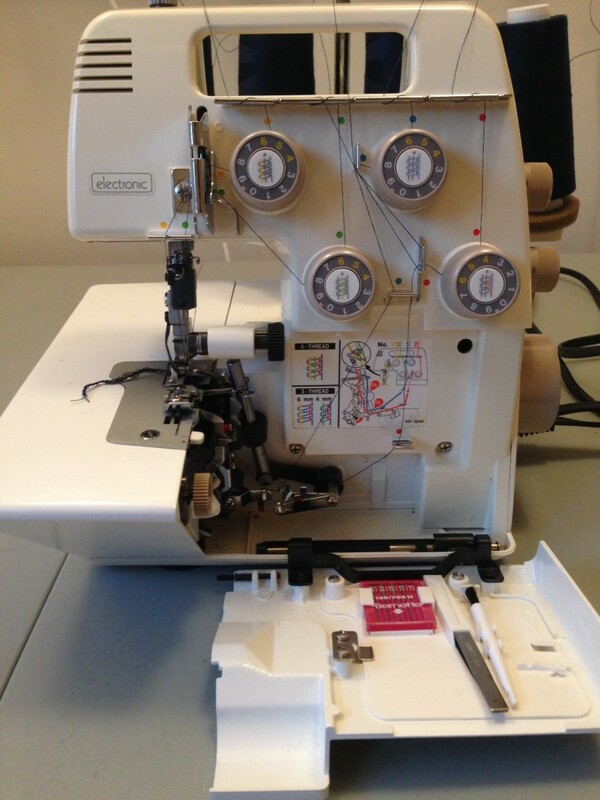 After I set everything up, I turned Helen (named after the “Helen’s Hilltop Fabrics” label I found on the front of the machine) on and gave her a whirl. Guess what? She’s in perfect condition. I have a couple of project ideas in mind, but I’d love to know what others recommend as first serger projects: simple knit dresses? Leggings? Let me know!